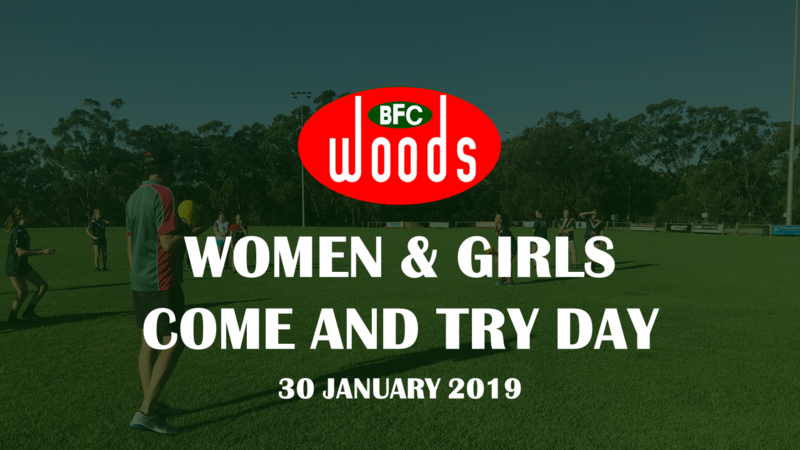 From Under 10s, Under 12s, Under 14s,Under 16s and Under 18 Girls to open Women, come and try football at U-Install-It Kitchens Oval on Wednesday the 30th of January 2019. The evening will start at 4.00pm with a session from Under 12s, followed from 5.00pm to 6.00pm for the Under 10s then then 6.00pm to 7.15pm for the Under 14s, Under 16s, Under 18s and Open Women’s. Come and have to chat with the coaches and have a kick of the football.